Can you believe it was only a few weeks ago when we launched our first Customised Employment workshops? And how time flies! During the four days students visited workplaces, talked to different employees, and gained valuable insight on working life. Everyone engaged, learned something new, and had a great time! Customised Employment Manager Kathy Kelly provides the details. We started off at our Cannington base where we introduced ourselves and ran through what the program would involve. In particular we took the time to talk to each student and see how we could help them get the most out the workshop. One of the biggest highlights of the program was the workplace visits. 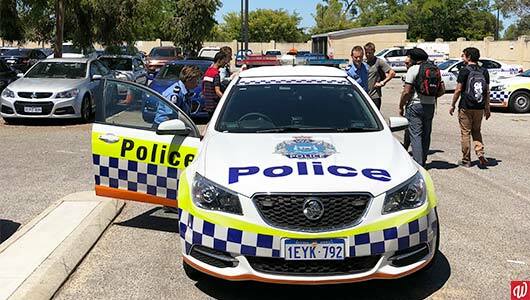 Students were thrilled to discover that they would get to tour through the Cannington police station and speak to real detectives! Our tour guides talked us through the different roles available and the skills required. The group completed some fun activities and saw firsthand what duties they would perform if they worked here. We even got to sit inside a police car! 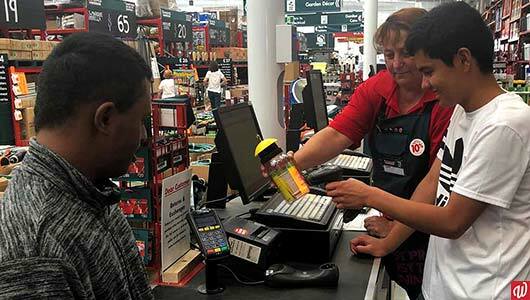 Next up was a trip to Bunnings where students had a great time getting hands-on experience in the store. We made our own wooden toolboxes, learned to mix paint and garden, and tried our hand at the cash register. We also spent time in between visits building employability skills, like resume writing and career planning. Students had the chance to listen to talks from successful individuals and gain career advice. Firstly, Dress for Success joined us with some great role play activities. They brought professional clothing and provided helpful advice on how to succeed in interviews. We also got a visit from new yoga micro-business founder, Kathryn Chivers. She kindly shared with us her journey with Customised Employment and how she received a One2One grant which helped her set up her new business. At the end she walked us through a short yoga class – what a great way to end an amazing program! We were blown away by the level of engagement from each student! Not only was it an enjoyable program, but everyone gained new knowledge to help them with their future careers. Some students gained work experience in their areas of interest and others discovered what industry they want to work in. It was an incredible experience and we cannot wait to run another one. A big thank you to everyone who assisted us! If you’d like to register your interest for upcoming workshops, contact Kathy Kelly here or on 0419 834 548.